ACCESS GRANTED! 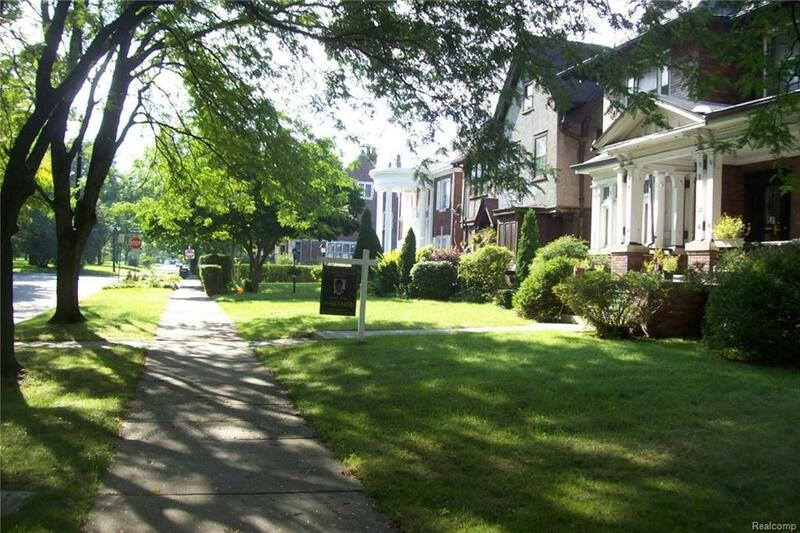 WELCOME TO BOSTON/EDISON SUB, ONE OF DETROIT'S FINEST HISTORIC COMMUNITIES. TREE LINED STREET LEADS TO THIS HOME BUILT IN 1908, VINTAGED LOOK AND FEEL. INTERIOR BOAST OF ORIGINAL, RICH DARK WOOD, NATIVE TO THE ERA BUILT, TRIM WITH ORNATE CRAFTSMANSHIP T/O. HARDWD FLOORS. OPEN FLOWING VESTIBULE, LIVING ROOM FEATURES BEAUTIFUL NATURAL DARK WDS, WALL, NATURAL FIREPL, BEAMED CEILING. RICH NATURAL WOOD DOOR WALL THAT OPENS TO PARLOR W/FIREPL, SPACIOUS FORMAL DIN ROOM WITH BUILT IN BUFFET, ORIGINAL BAY WINDOW WITH BEVELED GLASS, FRENCH DRS,.STAIRWELL, UNIQUELY CARVED ALL WD BANISTERS, BUTLERS PANTRY, EAT IN KITCHEN, IST FLOOR FULL BATH. DUAL ACCESS TO UPSTAIRS, 4 BEDMS, 1 FULL BATH, 3RD FLOOR 729 SQ FT OF LIVG SPACE. BASMNT HAS FULLY FUNCTIONAL 2ND KITCH. APPT ONLY! ESTATE-ALL OFFERS SUBJECT WHICH MAY TAKE UP TAKE UP TO 3 WEEKS. EMAIL AGENT: deborahjor@yahoo SELLERS' CAN POTENTIALLY CLOSE IN 30 DAYS OR LESS. Price drastically reduced below appraised value!